When you are officially declared bankrupt by the courts they will appoint someone to take charge and ensure that everything ordered is carried out. This person is referred to as the Trustee. Your trustee will either be a qualified accountant specialising in personal bankruptcy or an Insolvency Practitioner. Your trustee will interview you and request information that will help them decide how much you owe, who to and how you can pay them back. They will also add their fees to your debt, which will increase the amount you owe. You will have to give details of all your finances, including your bank details and statements, tax returns, wage slips and proof of your outgoings. However embarrassing you find the process it is crucial that you do exactly as you are told and comply fully with the trustee. Failure to do so can have dire consequences, such as Restrictions being placed on you or even facing prosecution by the courts. You may also face a heavy fine which during bankruptcy is the last thing you need as fines are Exempt from Bankruptcy Rulings and you will need to pay them in full as well as meet all the requirements of the original bankruptcy order. 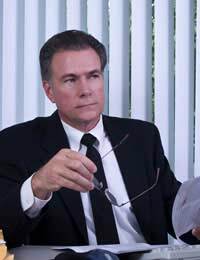 The trustee can call meetings of the Creditors. This meeting will involve all the people you owe money to being invited to sit with the trustee and yourself. The creditors will be shown copies of the findings of the trustee in regards to your finances and a Payment Plan offered to the creditors. They can agree or disagree to the terms. If the trustee is an Insolvency practitioner the creditors can elect someone to oversee the procedure and ensure that things are carried out in their interests. During the time the trustee deals with the bankruptcy they have to keep accurate records of all incomings and outgoings. These records, or accounts, have to be kept for a period of one year and then continue until they have carried out the bankruptcy to conclusion. Their accounts are verified by certified accountants and/or the person overseeing the bankruptcy on behalf of the creditors. However, copies of the accounts will be sent to all parties including the bankrupt. The records will include details of the trustee's fees which are likely to be high. In Scotland, as the trustee deals with the bankruptcy they will make permanent records containing all the legal paperwork pertinent to your case. These record books are called the Sederunt Book and are held by the National Archives of Scotland for life. It is a public record so the chances are that someone will find your history when you apply for credit. The trustee acts for the Creditor, not you. They will not react to your please of leniency or hardship. Their primary goal is to recover the money owed to the secured creditors. However harsh this may seem, you will have to pay back the money and will not be Dismissed from your Bankruptcy until the court orders it. Complying with your order will ensure that you are dismissed sooner than if you resist the requests of your trustee.